1. lots of things arrived in the post! (finally) including my new platforms that i love(!! ), new gladiator clogs and two super cute heart bangles. retail therapy is the best! 2. exciting exciting news! i made a facebook page this week! and until the 11th of may, i'm running a giveaway if you haven't heard so get over to facebook and follow the instructions to win a $50 britomart black card! 3. guys i've been eating a lot of fairy bread. 4. and i finally tried this pizza. it's a barbecue chicken and bacon pizza with a chilli dog stuffed crust. and yes, you should be jealous. 5. these past few days i've been feeding myself too much caffeine to substitute so many lost hours of sleep, but at least now i have a favourite go-to drink at starbucks! the white chocolate mocha is amazing! with cream. of course. 6. on sunday night, we had a family dinner where dad made his famous lamb pot. this literally sold so well when my parents owned their restaurant and i haven't eaten it in so many years! what a blast from the past. 7. being the movie addicts we are, we saw the other woman in cinemas the other day and oh my goodness it is literally the funniest movie i've seen in such a long time! such a good week for a comedy. it is a must see! and guys, jamie lannister was the main character. sorry nikolaj. 8. tonight we went to food in guangzhou and had the traditional clay pot rice dish. two of them. salty fish + pork mince and spareribs). 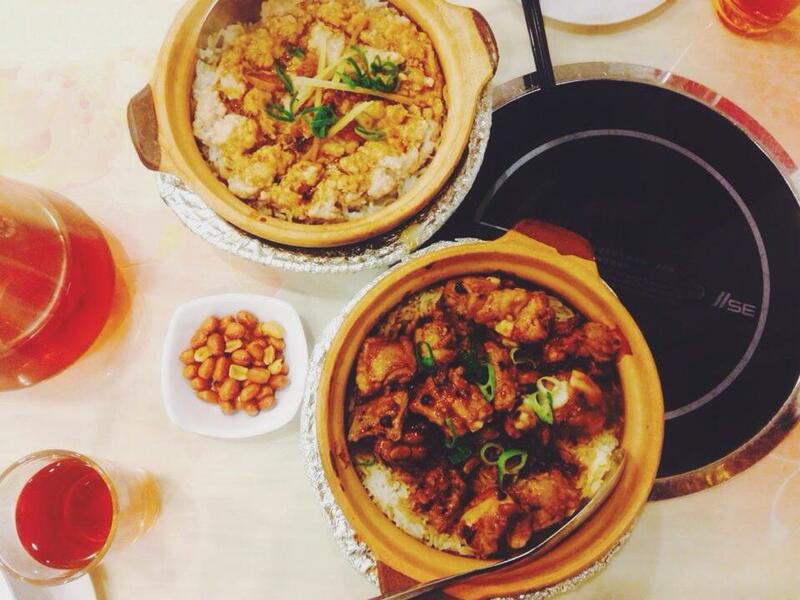 when my friend introduced this restaurant to me, i literally cried inside because clay pot rice!!!!!! what restaurant even makes those dishes anymore?!?!? too happy. 9. manatees came up in conversation this week and i thought of this video. manatees are too cute. urf. Look forward to your future posts!